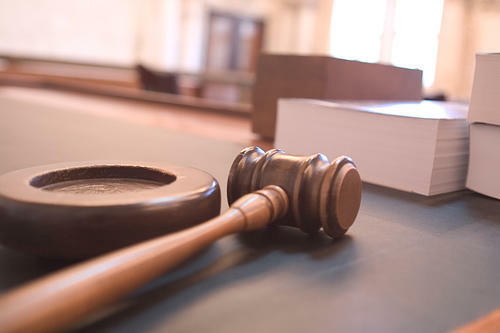 A federal appeals court says a judge wrongly tossed a lawsuit by a woman who wants to speak publicly about her time on the grand jury that declined to indict a Ferguson police officer who fatally shot an unarmed black man. The St. Louis-based 8th U.S. Circuit Court of Appeals on Monday reinstated the lawsuit by the woman identified as "Grand Juror Doe." A Missouri judge is giving strong indications he may toss a lawsuit by activists seeking an independent investigation of a prosecutor's handling of grand jury proceedings in the Michael Brown shooting case. 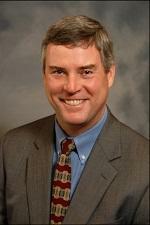 St. Louis County Circuit Judge Joseph Walsh III heard 90 minutes of arguments Friday. Activists want Walsh to appoint a special prosecutor to investigate what they claim was misconduct by county prosecutor Robert McCulloch. 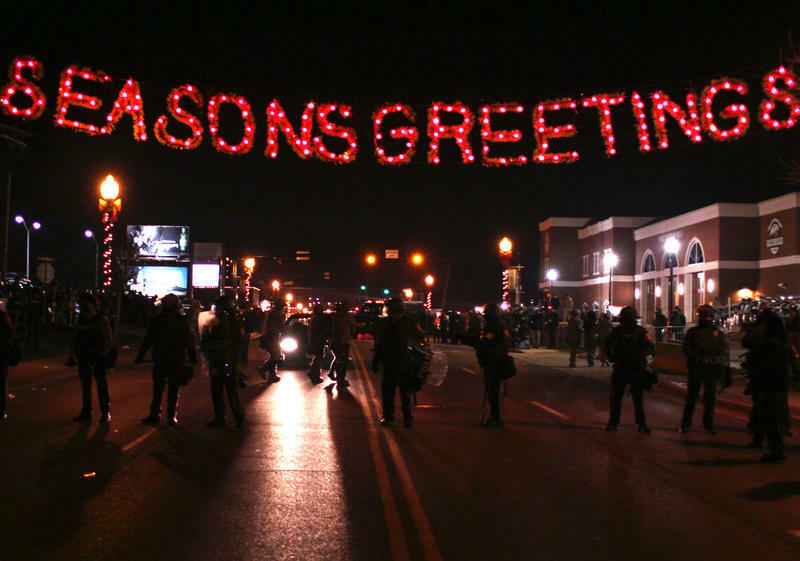 Updated 6:06 p.m. Sunday, Nov. 30, with a response from Ferguson city officials. 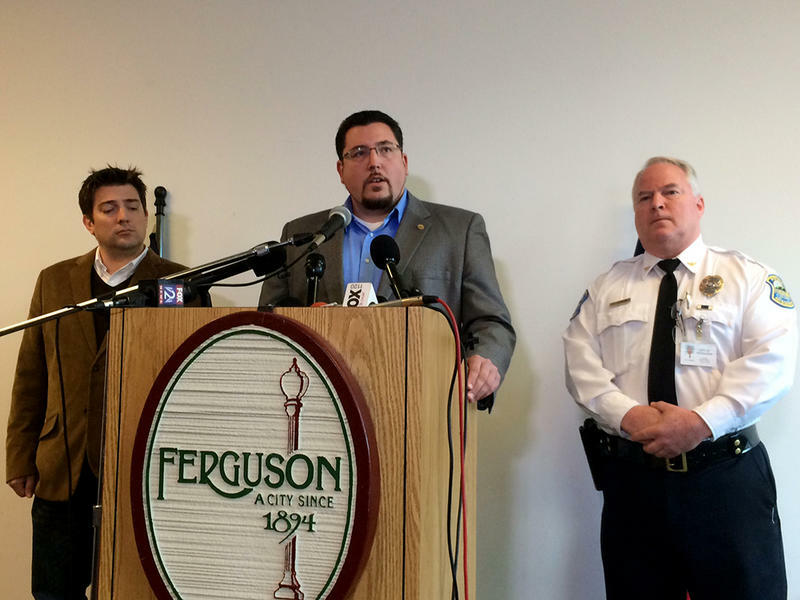 Ferguson city officials confirmed Sunday that Darren Wilson is no longer a member of the Ferguson Police Department. In the next few weeks and months, we’ll be arguing and disagreeing over the evidence disclosed in the massive data dump from the Ferguson grand jury materials. 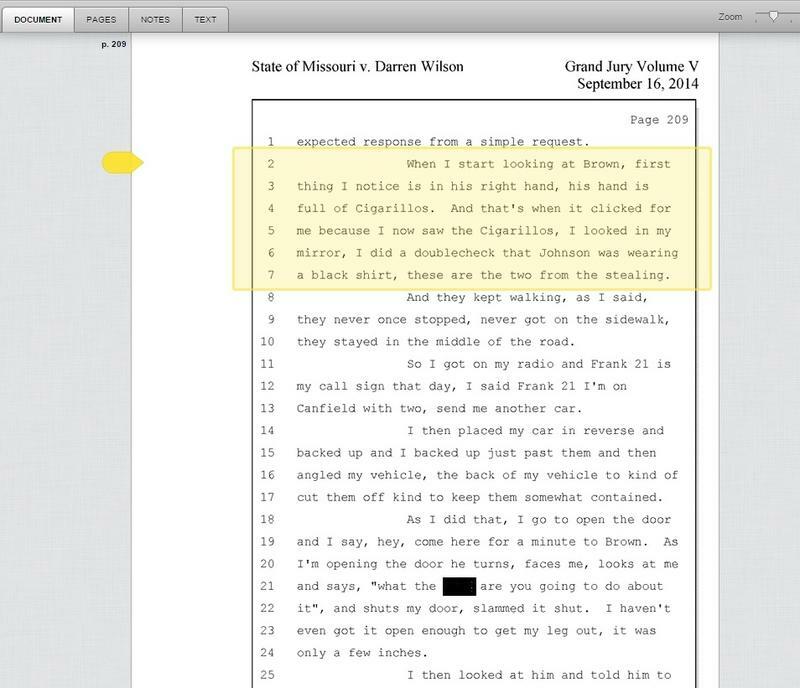 But if you skip to the end of the grand jury transcripts, all the way in volume 24, the last 15 or so pages, there’s an important point about Missouri law we should all agree on: The Missouri statute on law enforcement officer’s use of force needs to be changed, and now. 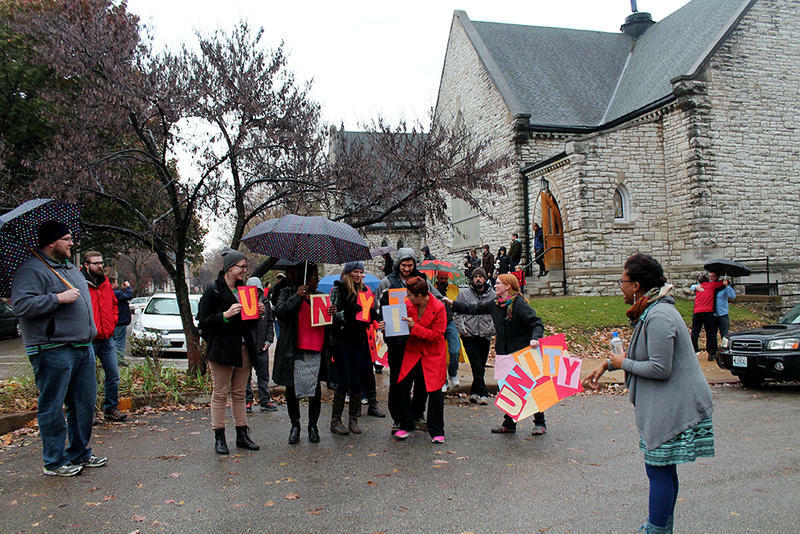 The second day of post-grand jury protest in Ferguson unfolded in a familiar pattern. 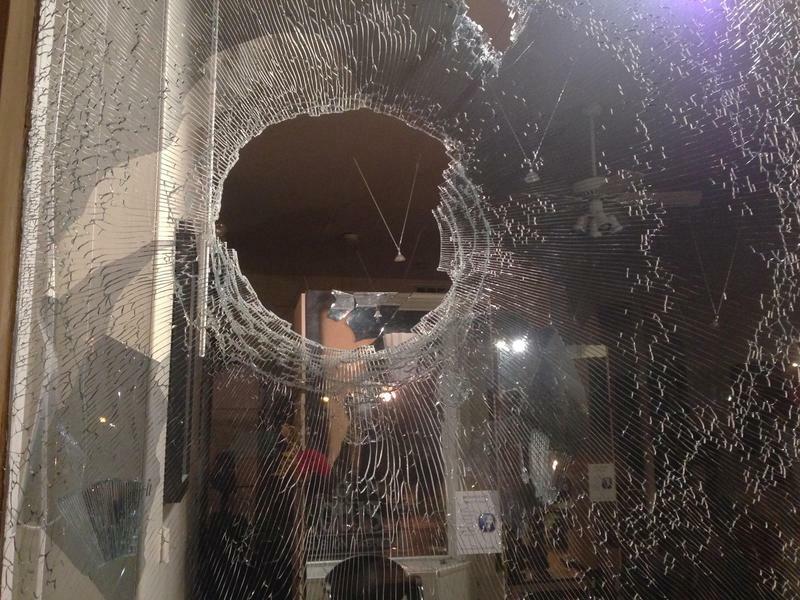 It began peacefully and ended with broken windows, tear gas and instructions to disperse. Forty-five people were arrested, the majority for misdemeanor offenses. Was The Grand Jury Procedure In The Wilson Case Fair? Some believe St. Louis County Prosecuting Attorney Bob McCulloch’s investigation of the Michael Brown killing was a fair, thorough and proper use of the grand jury to investigate the facts and sound out the community in a highly sensitive case. 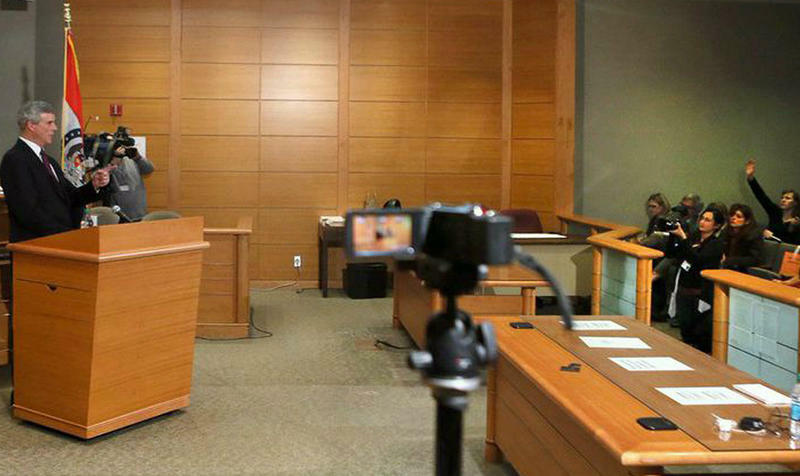 McCulloch’s press conference and his decision to release transcripts of the grand jury proceedings were sensitive and transparent. Several hundred demonstrators marched through downtown St. Louis Tuesday afternoon, protesting the grand jury decision not to charge Darren Wilson for the death of Michael Brown. About two hours into the protest, a large portion of the crowd marched up the westbound exit ramp to Interstate 44 at, shutting down first the ramps, and then the highway near the Edward Jones Dome. All told, traffic in the area was disrupted for about half an hour. Jessica Hentoff has gone all the way to Israel to bring people of markedly different perspectives together. This summer, Hentoff, artistic and executive director of Circus Harmony, took members of her tumbling group, the St. Louis Arches, to the Middle East. There, the Arches joined with Arab and Israeli youth from the Galilee Circus, where they work and learned together, setting aside religious, political and cultural differences. After St. Louis County Prosecutor Bob McCulloch announced Monday that a grand jury had decided not to charge Ferguson police officer Darren Wilson with a crime in the August death of Michael Brown, he carried out his promise to release thousands of pages of grand jury testimony and evidence. Attorneys for Michael Brown’s parents say they’re focusing on their next steps, after a grand jury did not indict police officer Darren Wilson for killing their son. After a night of rioting and flaming businesses Monday, elected officials and business leaders were reassessing what happened and how to prevent more of it. Missouri Gov. Jay Nixon found himself under fire, as critics blasted the low-profile use of National Guardsmen late Monday. Late Monday, St. Louis County Prosecuting Attorney Bob McCulloch announced that a grand jury had voted it would not indict police Officer Darren Wilson in the August death of Michael Brown in Ferguson. 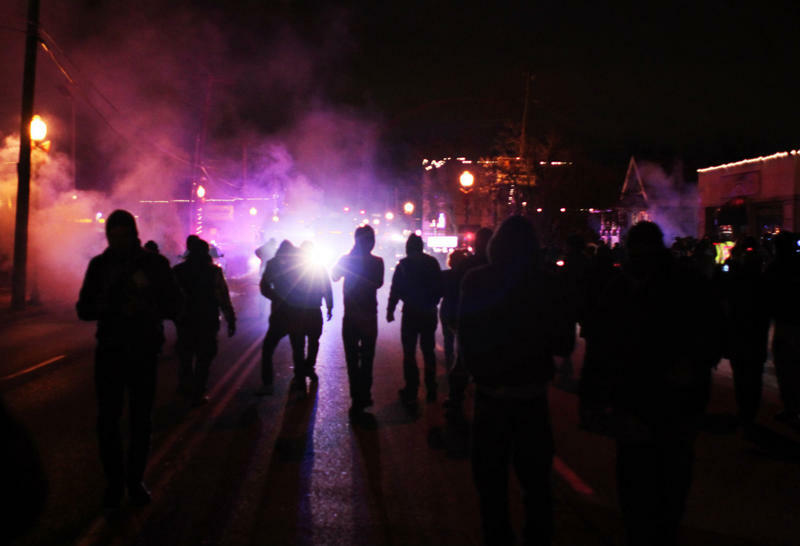 Protests began soon after the announcement in Ferguson and St. Louis, followed by acts of arson and violence. 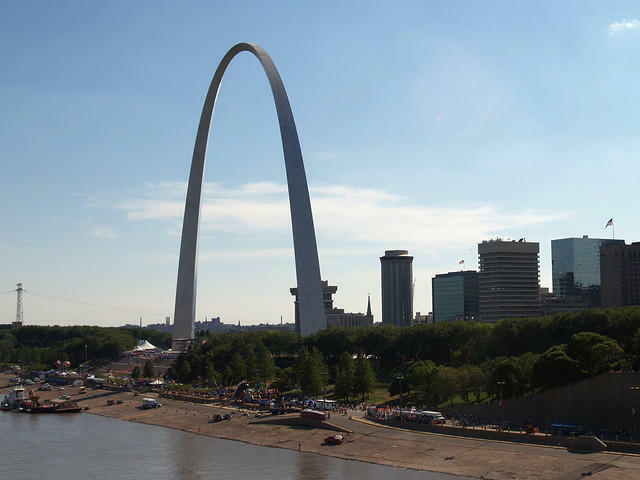 Tuesday on "St. Louis on the Air," we tried to get a better idea of how the communities are reacting and what is planned. FERGUSON, Mo. 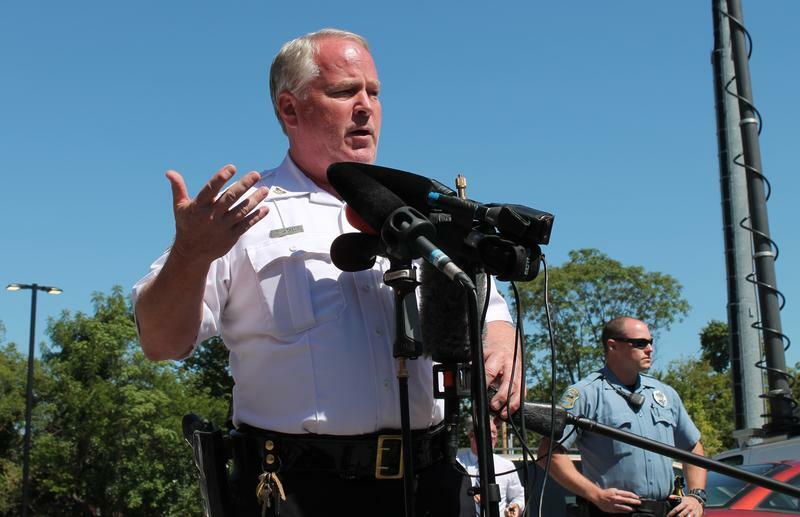 (AP) — St. Louis County police are investigating after a man's body was found inside a car in Ferguson, but it isn't immediately clear if the death is related to the unrest that followed the grand jury's decision not to indict Officer Darren Wilson. Police were called at 9 a.m. to a residential area, where a man was found dead inside a parked car. The victim's name has not been released. 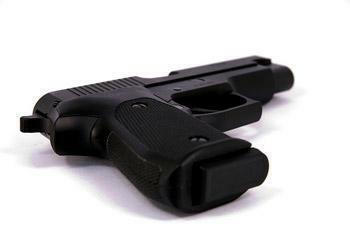 Authorities are calling the death "suspicious," but have not determined if there is any connection to the violence that broke out last night. Protesters and law enforcement officersmay have hoped for calm. 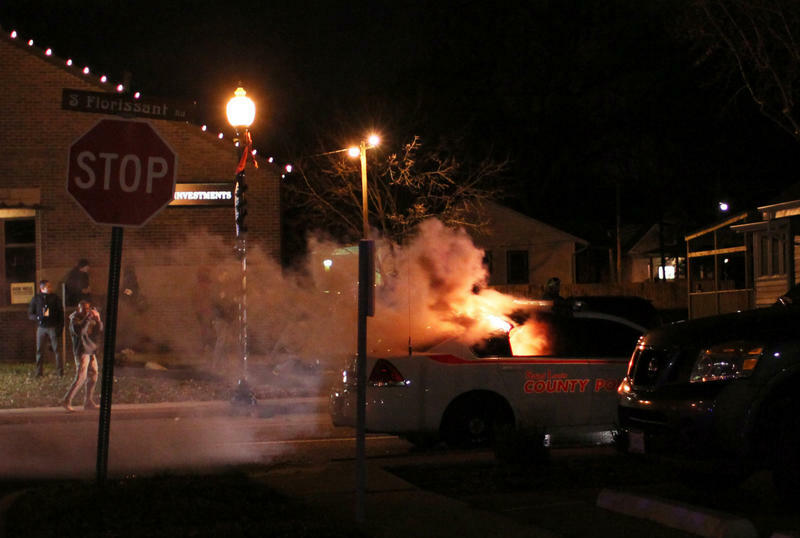 But reaction to news of the grand jury’s decision to not indict Ferguson Police Officer Darren Wilson in the August shooting death of Michael Brown ended in arson, looting and tear gas. The AP's roundup of Ferguson coverage following "no true bill"
After a St. Louis County grand jury decided not to press charges against Ferguson Police Officer Darren Wilson for the August 9th killing of 18-year-old Michael Brown, St. Louis County prosecutor Bob McCulloch followed through on his promise to release a wide variety of testimony the grand jury used to make its decision. 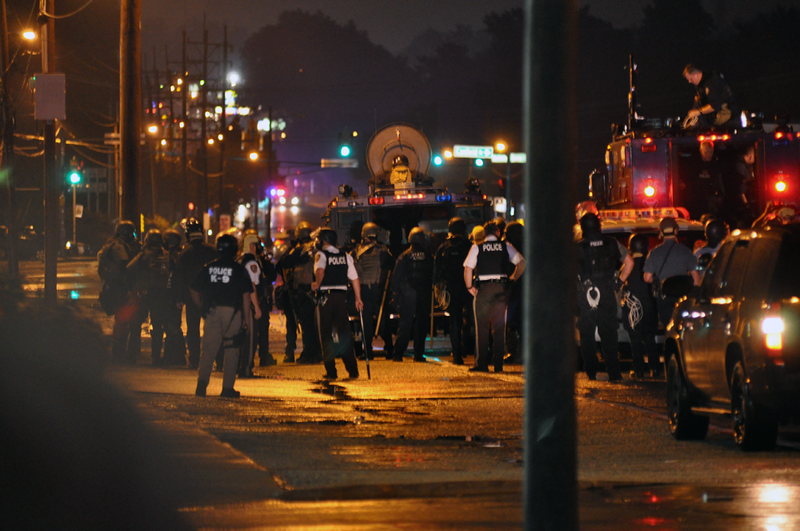 President Barack Obama says he has asked Missouri Gov. Jay Nixon to create a plan for a “careful and appropriate response to any potential violence” that may occur after the grand jury decision in the Darren Wilson case is made public. Speaking Sunday on ABC’s This Week, the president said he doesn’t want a repeat of this past August. An attorney for the Michael Brown family is calling the grand jury process in the Darren Wilson case "unfair." Speaking on ABC’s This Week, Benjamin Crump said that St. Louis County prosecutors should recommend that the grand jury indict Darren Wilson for the death of Michael Brown, instead of leaving the decision entirely in the grand jury’s hands. ABC legal affairs anchor Dan Abrams interjected, saying that it is not uncommon for prosecutors to omit a recommendation in high-profile cases. ST. LOUIS (AP) — A judge has extended into January the term of the grand jury considering whether Ferguson police officer Darren Wilson should be charged in the shooting death of Michael Brown. 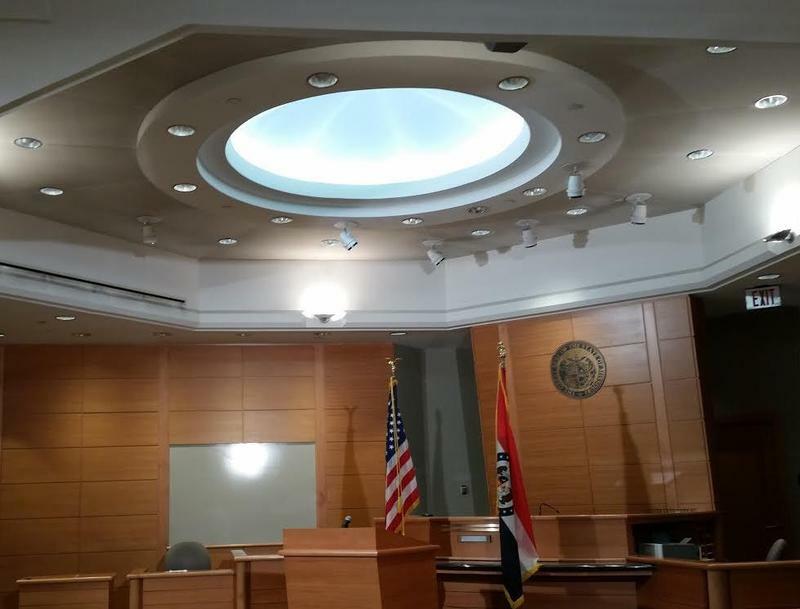 The grand jury was due to have its four-month term expire Sept. 10, the same day St. Louis County Circuit Judge Carolyn Whittington extended the term to Jan. 7. St. Louis County Court Administrator Paul Fox says it's the longest extension allowed under Missouri law. Three black people are among the 12-member grand jury hearing evidence in the Michael Brown case. Paul Fox, director of judicial administration for St. Louis County Circuit Court, confirmed the racial and gender makeup of the grand jury on Friday. 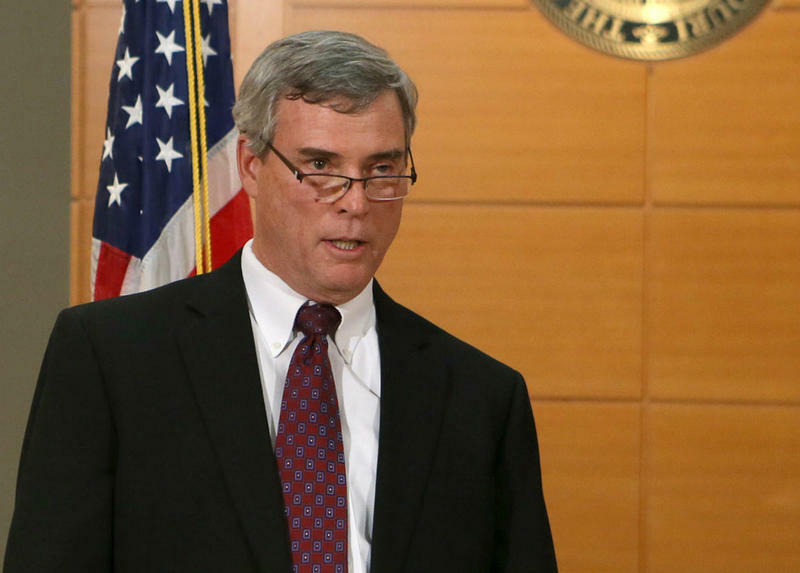 St. Louis County prosecutor Bob McCulloch has said it will be several weeks before a decision is made on whether to charge Darren Wilson, the Ferguson officer who shot and killed Brown on Aug. 9. The grand jury consists of six white men, three white women, two black women and one black man. Nine votes are needed to indict.